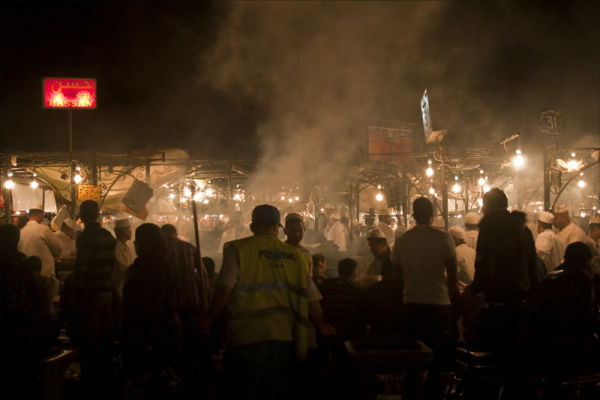 Another image from the bustle of the Place Djemaa El fna market square at night. Smells, smoke, food, people atmosphere. North Africa summed up ! !